Today a Destination I hadn't seen before came to my attention...SoCal. 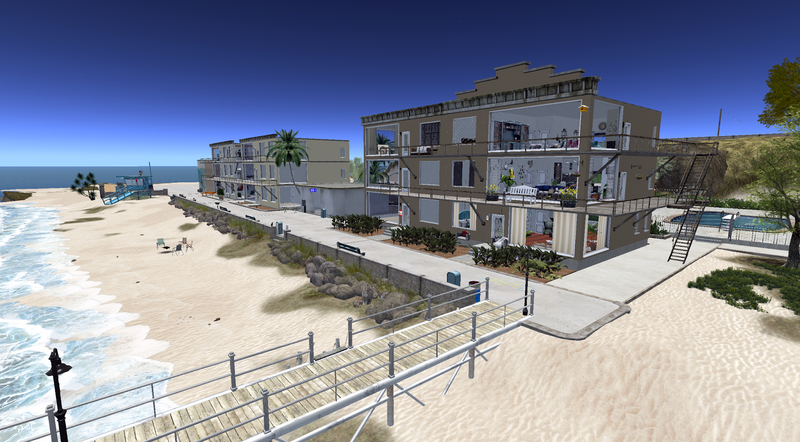 This is a full region re-creation of a beach community in Southern California, and it's VERY well done. 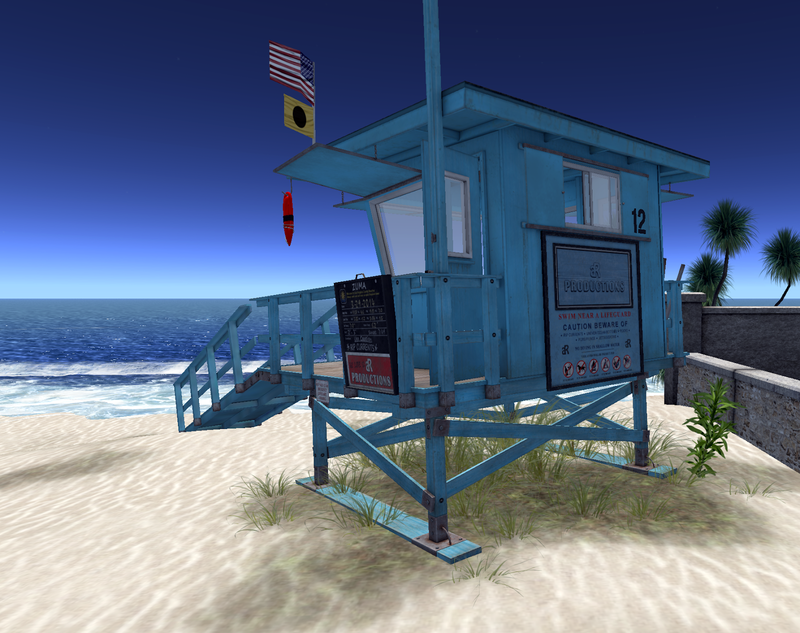 It has elements of Venice Beach, Redondo Beach, and LaJolla. The Pacific ocean rolls in with an ever-present roar. You can walk along a sandy beach with just enough debris and beach grass to look like those beaches I remember from my years in the Los Angeles area. 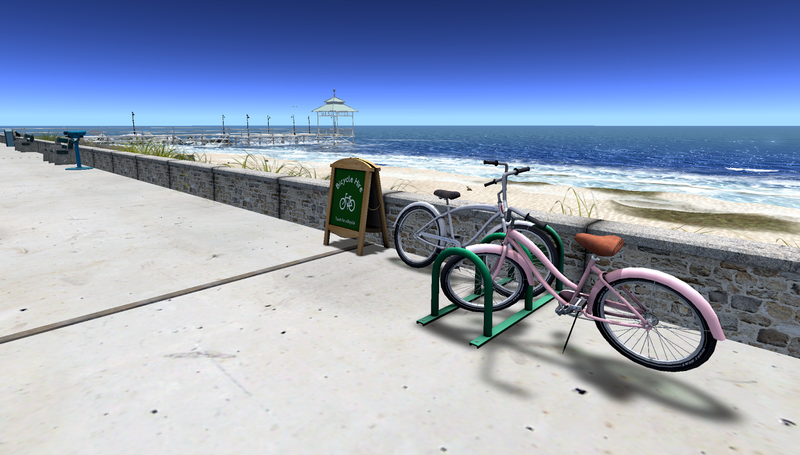 Even the terrain profile of the beach is correct, rising at the back to a boardwalk/bike path. At one end of the beach are some rocks, with spray from the endless surf, and some sea life. You can wade in the tide pool here. At the other end is a long pier with a gazebo out at the end where you could fish, if you brought your pole. On the other side of the bike path are stucco'd apartments and shops, just as you'd find in Venice or Redondo. Behind them are stone walkways and parks with brilliant flowers. On the other side of an asphalt road, palm trees sway in the Endless Summer. Climb the hill behind the palms, and you come to a grassy area above the sea, with cliffs plunging to the surf below. In this area is a park and an outdoor amphitheater type dance club under a geodesic dome. There's a very realistic mixture of the tacky and funky and the gorgeous to be found here, that took me right back to the west coast. There are park benches with lots of sit poses in them, and there's a skateboard park where you can get a board and show your skillz. 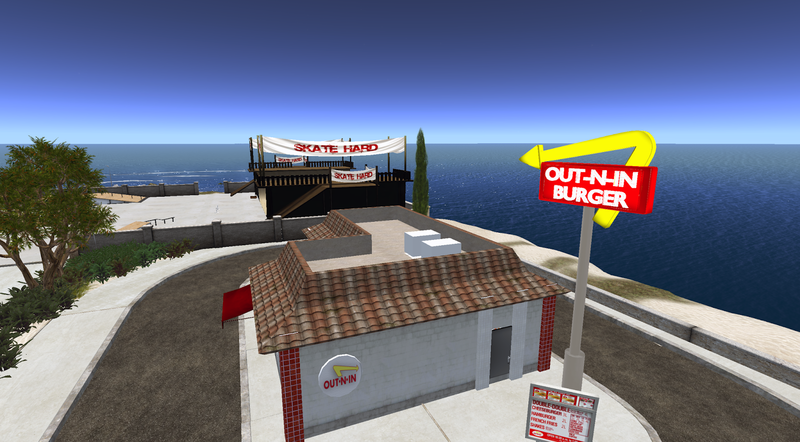 There's a fast food burger joint next door where you can relax and refuel after a hard skating session. 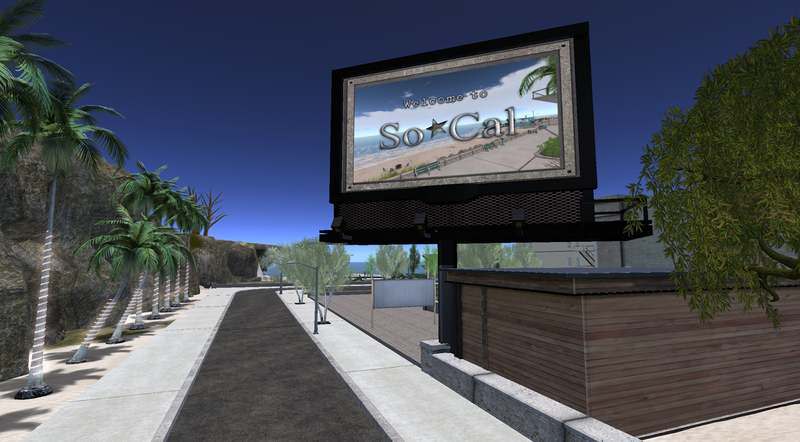 SoCal is still under construction, but they are open for business and offer rentals for stores and residents. Krissy Darkfury is the person to contact, if you're interested. While I was there, I met Jena Delwood as she was setting up a new tattoo store, JD's Ink, on the boardwalk. Go take a walk on the boardwalk, listen to the surf and the gulls, poke around the shops...and put on some Beach Boys tunes to complete the mood. SoCal gets the Lindal Kidd Stamp of Approval! Here are more snapshots of my West Coast trip. As always, click one to get a better view!